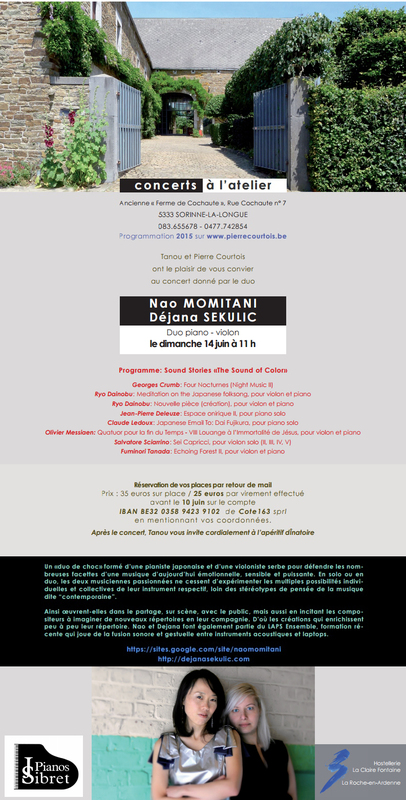 [BIO] Dejana Sekulić, violinist, sound expression explorer and performer, was born on planet Earth 43°19′09″N 21°53′46″E, where her music education started and continued until she obtained Bachelor degree from the Faculty of Art at the University of Niš (with Petrovic-Markovic and Aleksic). 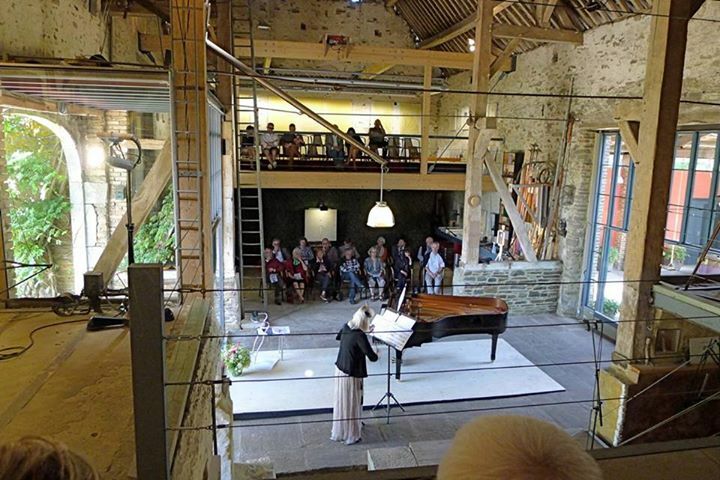 She continued her studies and obtained Masters degree and Postgraduate in Music on Royal Conservatory of Brussels in the class of professor Oistrakh and Bouckaert, as well as advanced fellow program for contemporary music of the Ictus (Brussels) and Spectra (Gent) Ensembles at School of Arts Gent. She worked and collaborated with masters such as Igor Oistrakh, Ruggiero Ricci, Vladimir Spivakov, Eugenia Tchugayeva, Marc Danel, Stefan Camilarov, Ilan Gronich, Mihail Grube, Dejan Mihailović, Angel Satnkov, Barbara Maurer, Peter Ablinger, Tom Pauwels, Graeme Jeannings, Bram Bossier, George van Dam, Pieter Jansen. During this time she has been performing regularly in Serbia and in Belgium, as well as in Italy, Slovenia, Switzerland, Austria, Spain, Bulgaria, Germany, France, Portugal, USA and China. Her recent solo performances include concerts on the “ArsMusica” International Contemporary Music Festival (Belgium), Epidaursu Festival (Croatia), concert during the “Museum Nigh Fever” in Palais des Beaux-Arts (Brussels), “Constantinus Festival” double violin concertos with Valery Oistrakh), BigBang Festival (with ICTUS+GAME) as well as concerts in Flagey and in the MiM (Musical Instruments Museum), performances on TRANSIT and LOOP festivals (with LAPS). She also did several recordings for both Serbian and Italian radio and TV broadcasting companies. She is the violinist in LAPS ensemble, ensemble that works with combining acoustic and electronic production of sound. 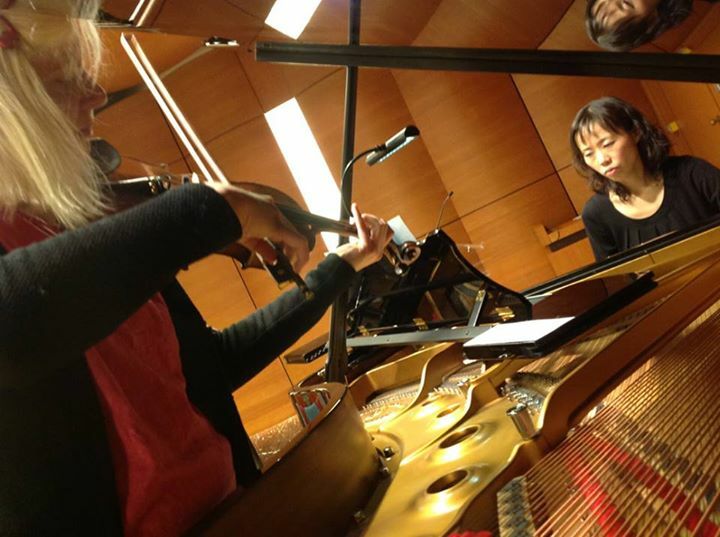 She also plays in the violin and piano duo, with pianist Nao Momitani and a duo with harpist Maria-José Jeannin (“MaD duo”). 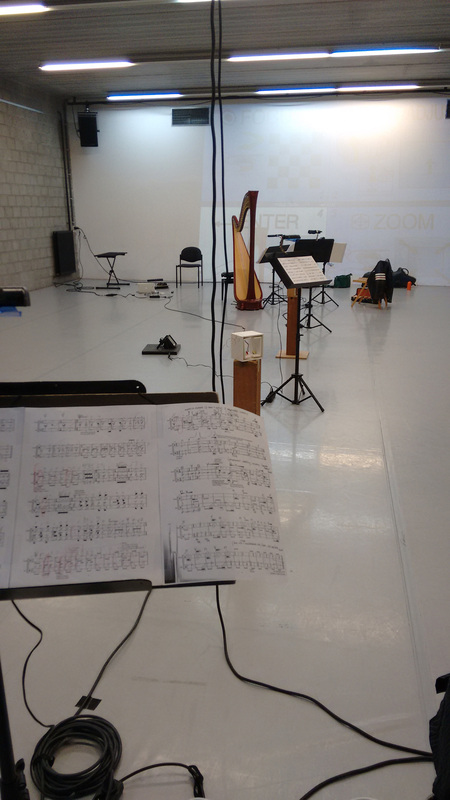 ”Temporality of the Impossible: contemporary violin music, aesthetics, technique and performance” is an artistic research, that started as a personal curiosity but grew into a PhD research, now taking place at the CeReNeM and HuCPeR, at the University of Huddersfield (UK). 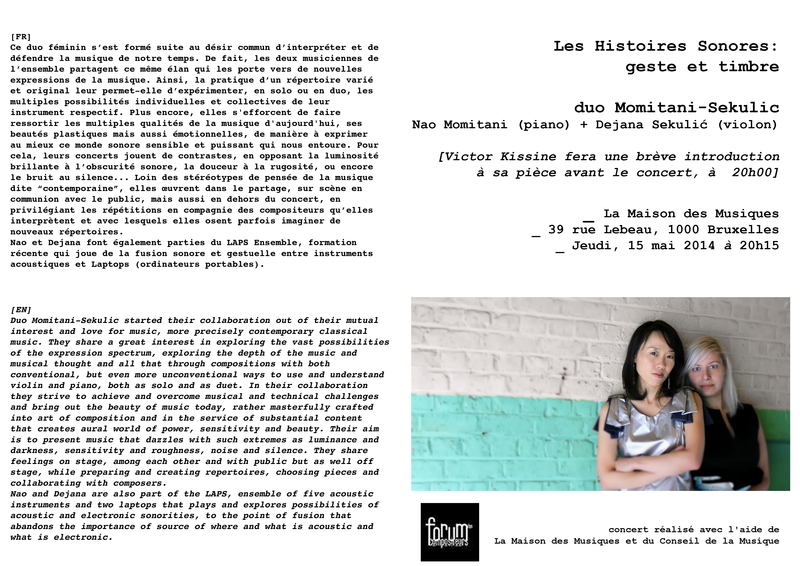 Duo Momitani-Sekulic started their collaboration out of their mutual interest and love for music, more precisely contemporary classical music. The spectrum of expression, exploration of depth of music and musical thought with vast possibilities through compositions both conventional and non-conventional, way of using and understanding violin and piano, as solo and duo, presents never-ending challenge. In their collaboration they strive to achieve and overcome musical and technical challenges and bring out the beauty of music today, rather masterfully crafted into art of composition and in the service of substantial content that creates aural world of power, sensitivity and beauty. Their aim is to present music that dazzles with such extremes as luminance and darkness, sensitivity and roughness, noise and silence. They share feelings on stage, among each other and with public but as well off stage, while preparing and creating repertoires, choosing pieces and collaborating with composers. 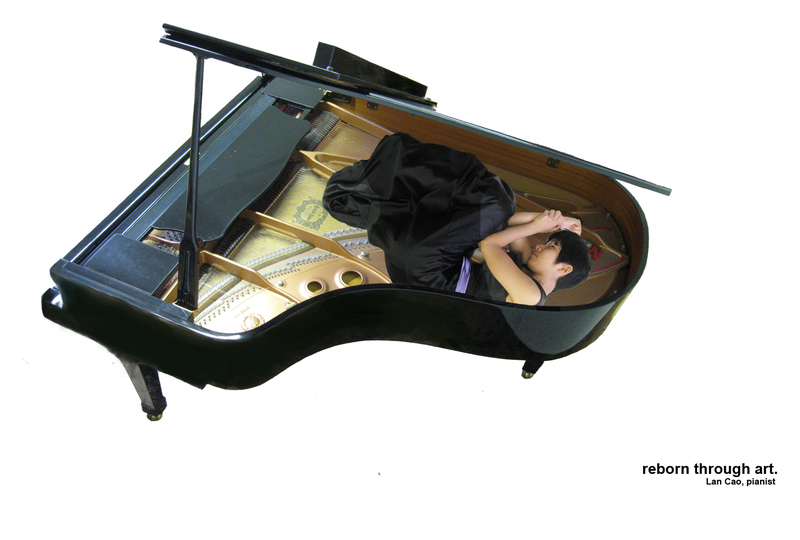 In the future, Nao and Dejana will perform at the Royal Academy of Belgium on January 2015. Furthermore, they are also part of the LAPS, ensemble of five acoustic instruments and two laptops that plays and explores possibilities of acoustic and electronic sonorities, to the point of fusion that abandons the importance of source of where and what is acoustic and what is electronic. The duo's most notable concet is “Sound Stories". This is a concept in which the sounds (different, unconventional and those that are challenging the perception of “what is beautiful sound”) found in the pieces are associated with descriptive words that can lead the audible experience of understanding and following the story of the piece told. This edition of “Sound Stories” is going to emphasis on gestures used for producing the sound, gestures that produce timbres that we are not used to hearing from these instruments. And yet, none of these gestures and techniques are used just for the sakes of “new” or “different” but rather masterfully crafted through art of composition and in the service of substantial content that creates aural world of power, sensitivity and beauty. Music that dazzles with both extremes: luminance and darkness. 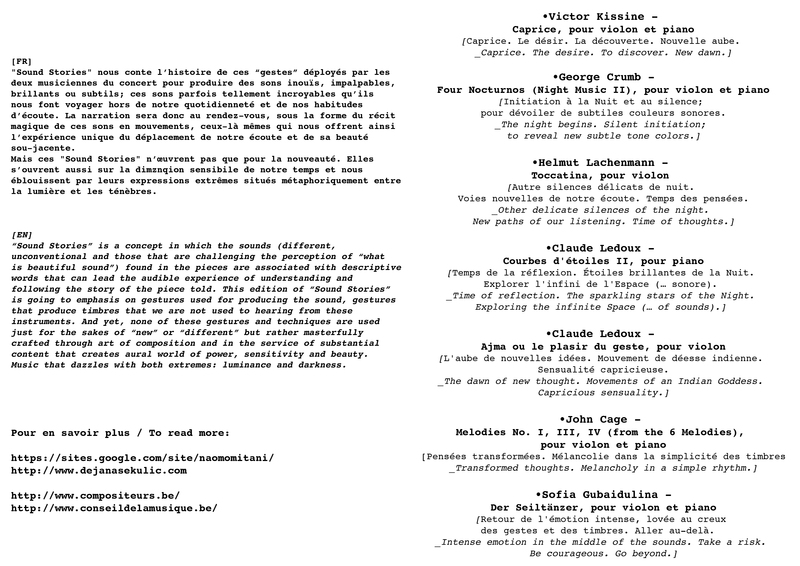 It opens empirical self discussion of the listener, while presenting pieces that can be described with: pink noise, texture, acoustic vs. / ft. electronic..
LAPS, young Belgian Ensemble, arose from the desire to create an original ensemble which associates amplified instruments with laptops. The first idea was to provoke human and gestural interactions, imagining a "chamber-music concept" emerging from the relation between "acoustic" musicians and "electronic" performers. Launched in 2013 on the initiative of the composers Claude Ledoux (manager and conductor of the ensemble) and Gilles Gobert (member of the Laptop duo KNAPP with the composer Gilles Doneux), LAPS has a goal of awakening and creating a new repertoire for this original group of instruments and musicans. 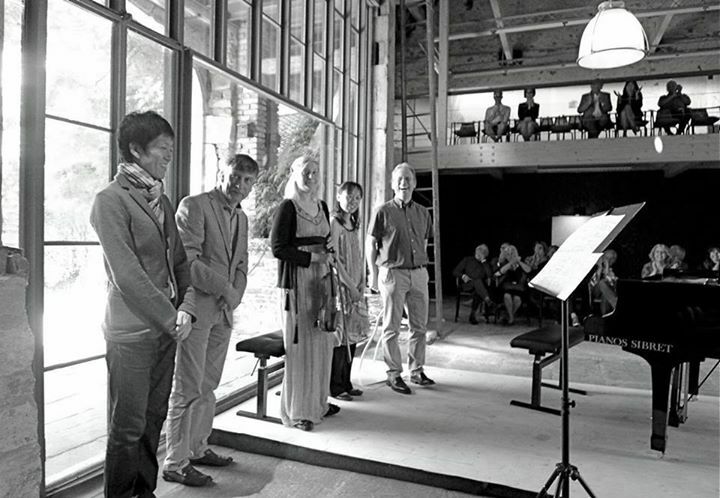 Besides a policy of guest composers, the ensemble also promotes its own composers. 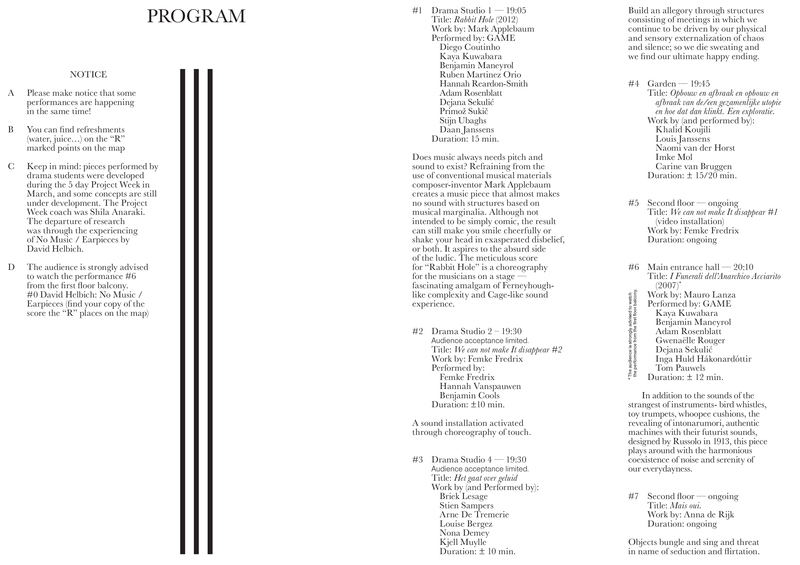 The concept of the performance often includes program that alternates between "written" compositions and improvisations. For more videos/audios, please visit the Media section of the LAPS website. Microcosm of macrocosm becomes macrocosm of its own when focus shifts - from your perception being the membrane within which the sound exists, to you being the particle within the sound. 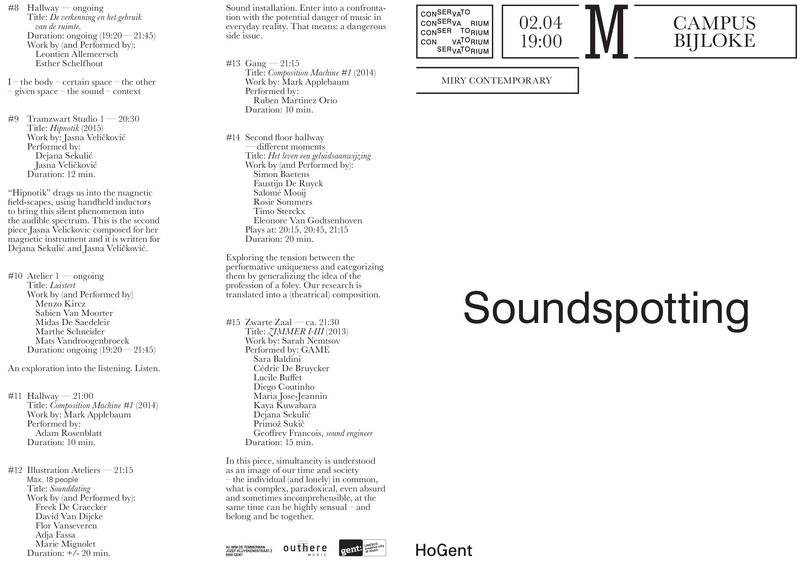 The concept of this performance is based on evoking experiencing sound and music, from barely audible to extreme expressions through sound by alternating pieces that would offer a spectator a full spectrum of various sonorities. 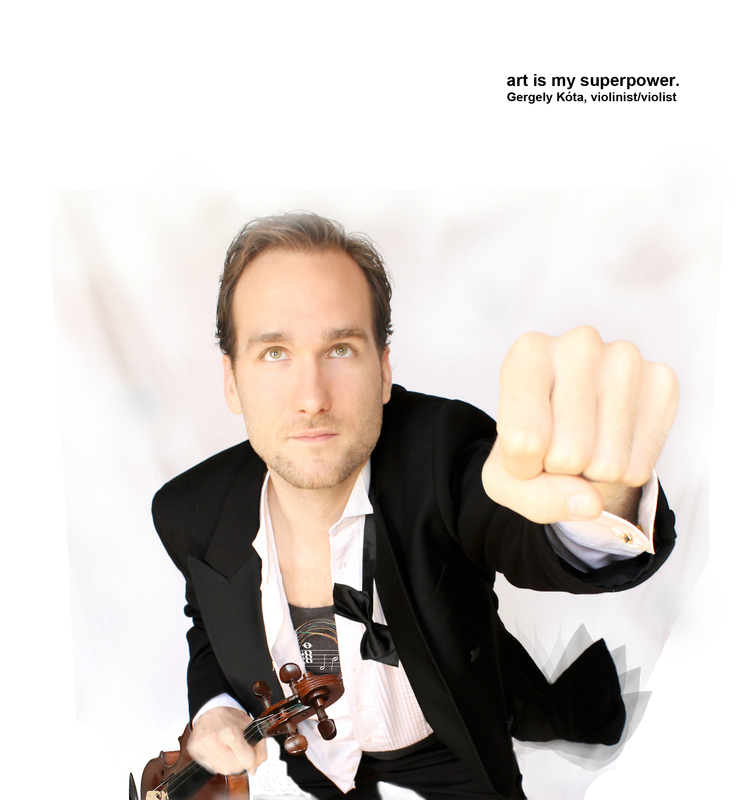 The performance itself has two variations, just instrument (violin) solos or alternating between solo violin pieces and sound installations. The interactive sound installation Sensonarium is imagined as a representation of the membrane that holds a sound. Being inside of this membrane and feeling the sound, one becomes a kind of internal particle. 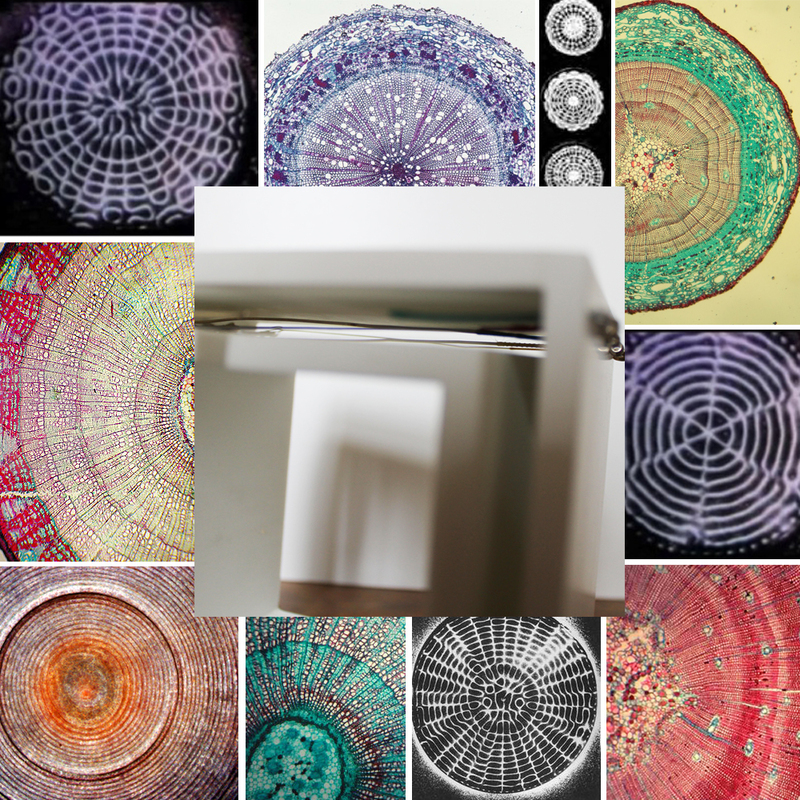 Through analyzing microscopic slides, this work exhibits the visual structures of different elements (water, wood, pollen, earth, metal, tissue...). Further research examines different sounds and frequencies with cymatics, and then pairing up each element with combinations of sounds. As a result, visual images have their equivalent signature sounds, their air vibrations, their voices. The intended effect is for the spectator, while interacting with the installation, to feel these vibrations and frequencies being and becoming a part of their insides, becoming the atom. Elements’ interiors will thus feel closer to the spectator and become one with the nature of being. 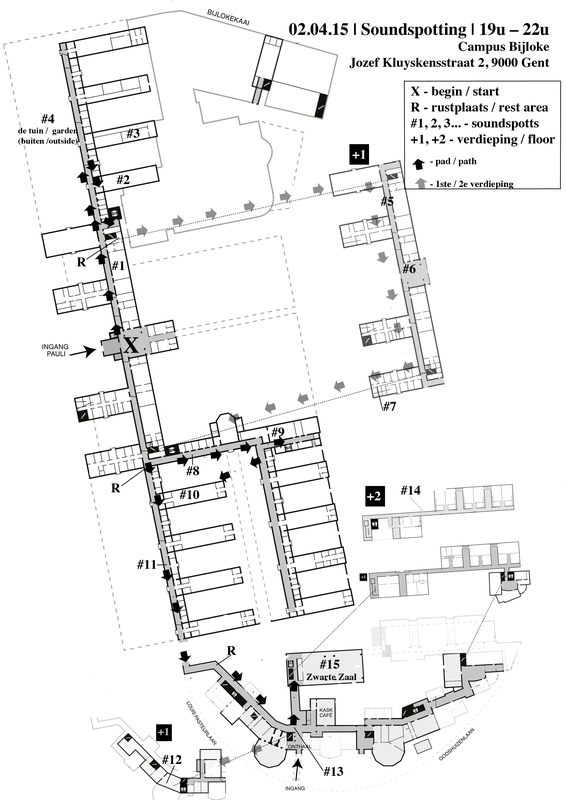 The significent work on "Sensonarium" started developing during the residancy at Q-O2 (Brussels), in October 2015. The continuance of the research, that is curently ongoing, is taking place in I.S.I.B. - Institut Supérieur Industriel de Bruxelles. The process of research consists, among other, in examining images of microscopic slides of different elements (water, wood, pollen, earth, metal…) for their visual structure. Using the system of examining different sounds and frequencies with cymatics, examining their visual structure and then stacking and combining them, the resulted image of these combined sounds becomes equivalent image to an "image" of a sound, if we could see the sound under the microscope. These combinations of frequencies, sounds, come to represent the closest visual equivalent to microscope slides that will in return be assigned to each of the examined elements and become their signature sound, the voice of the element. 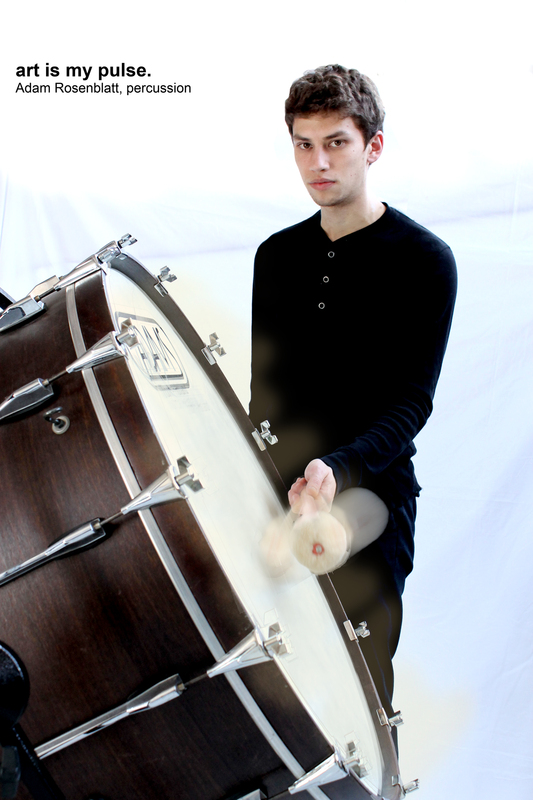 The paired element and its sound would be further used in creating a piece and small interactive installation. Upon triggering and manipulating the installation the spectator can sense the vibration of this element, and thus feel as if he became part of its voice. 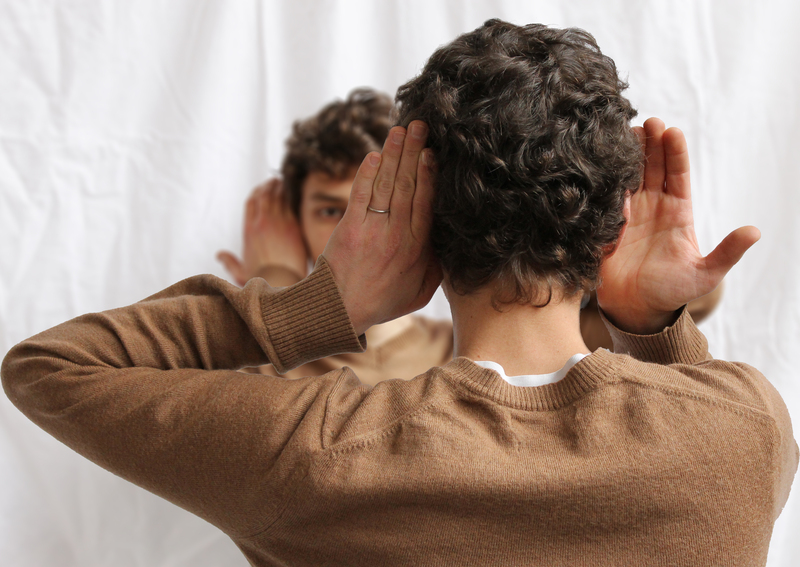 Although small scale installations are being made, along with acquired results, a 1:1 scale interactive installation is in plan, which could welcome a spectator inside, for experiencing this vibration in whole, making his perception of sound switch from his hearing being the membrane within which the sound exists, to being a particle within sound. Three duos (trios), created in collaboration with P.A.R.T.S. dancers, with music for solo violin “Elles” by Geoffrey François. With dancers/choreographers: Régis Badel, Lav Crncević, Ellada Damianou, Frank Gizycki, Eileen Van Os, Souleymane Sanogo. Special thanks to Johanne Saunier and Alain Franco. Performances took place on December 15th, 16th an 17th 2014, March 8th and 22nd 2015 and July 1st and 4th 2015. 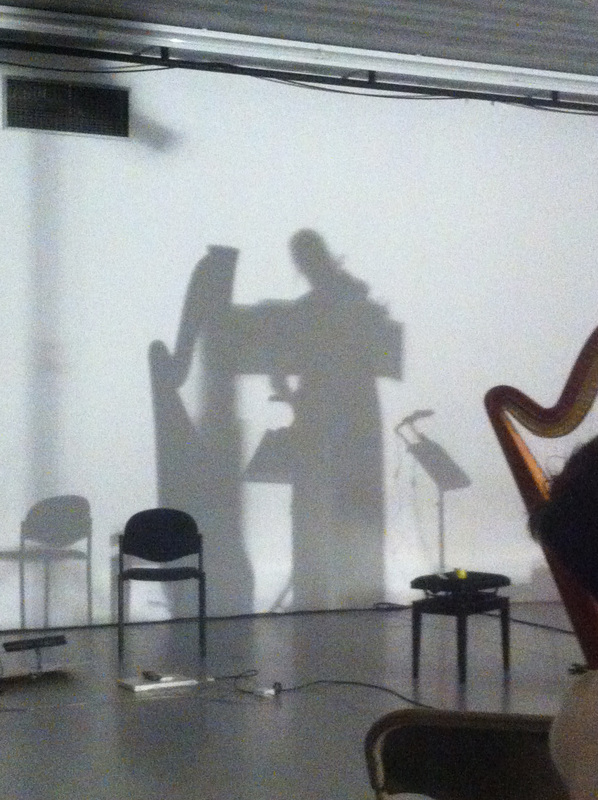 The MaD duo is improvisation based duo for harp, violin and sounding objects, working on exploring the connections of visual and sound, and our perception through their play. The performances mix live interactions of sound and movement, as well as interaction of music and video and they often follow a theme. One of the specially designed concepts, “Creature Thoughts”, is imagined as interpretation of thoughts and features of different creatures through sound. This concept as well has an educational component, and the duo is developing its special edition aimed at children. "MaD" are Maria Jose Jeanin and Dejana Sekulic. ⌈ 29.01. -07. 02. 2016. @ CTM Festival (Berlin), with solo project "Sensonarium"
⌈ 13. 08. 2014. @ Open Space, Darmstadt (Germany) , "Talking Space"
⌈ 01.- 05. 04. 2015. 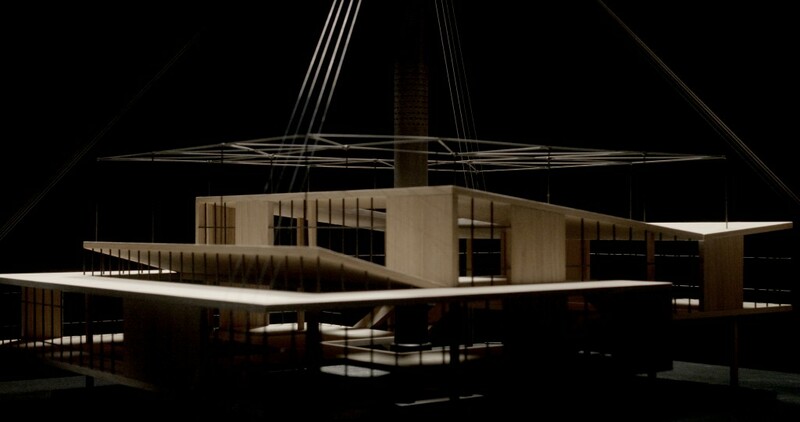 @ Théâtre La Balsamine, Brussels , with Besides - open general rehearsal for Baudouin de Jaer's new chamber opera "La forêt"
The central element of project “NADA” is Vjenceslav Richter’s first, but unrealized design for the Yugoslav Pavilion at the 1958 EXPO in Brussels. 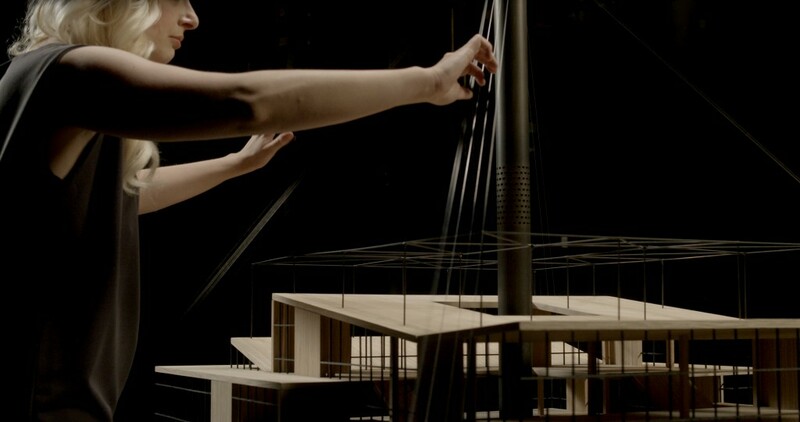 Artist Jasmine Cibic appropriates and recreates the pavilion as a sculpture, which in turn functions as the skeleton of her new short film, around which the exhibition is centered. 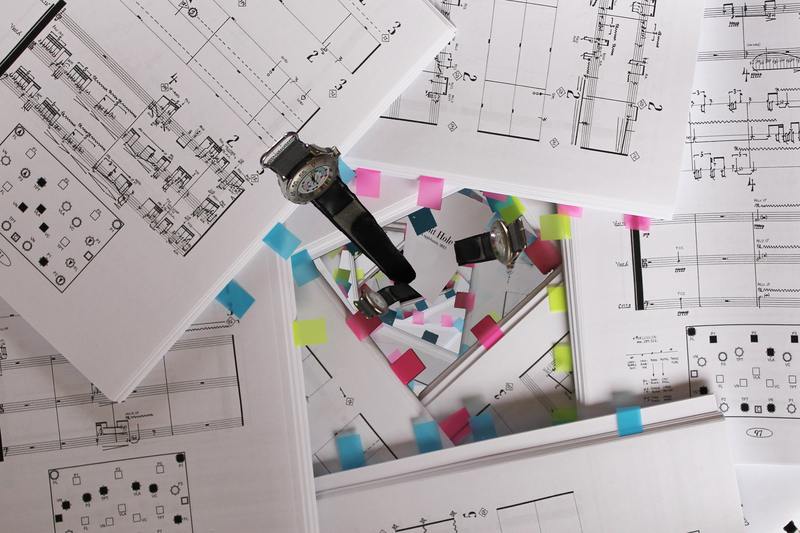 In “NADA: Act 1”, in collaboration with Dejana Sekulic, the sculpture of Richter’s pavilion is made into a music instrument, on which Dejana performs. ⌈ In-Depth description of the work. The wonder(s) of metal. And sound. The eternal exploratory playground and unlimited source of wonder. In August 2018, Dejana was one of the mentors of the summer camp led by Julien Annoni (WeSpoke) and organised by Coordination Jeune Public. During this week of experimenting and exploratory music making, together with (and for) children participating in the camp, Dejana created one of the five cubes, “mets ta likette”, featured in the final spectacle (performance with children available here). The Velicon is a custom magnetic instrument designed and made by composer-performer Jasna Velickovic, that creats a special sonic world, with uncanny experimental and unconventional use of conventional. 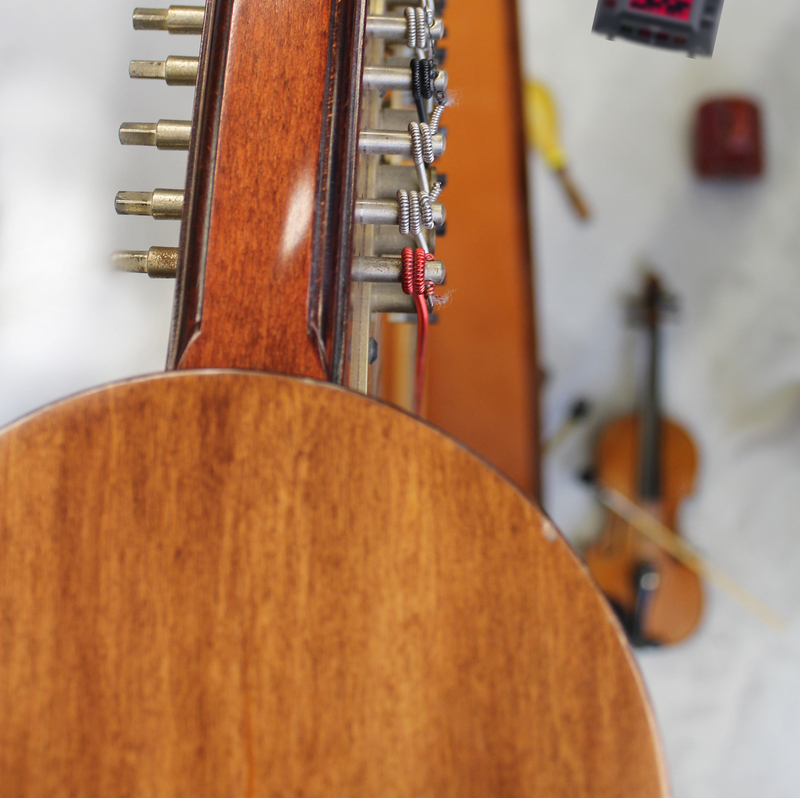 This visually appealing instrument, with simple geometric shapes of the magnets (cube, rod, ring, sphere…) in some ways reminds you on Lego, a simple toy which awakens creativity and invention - but now in sound building. 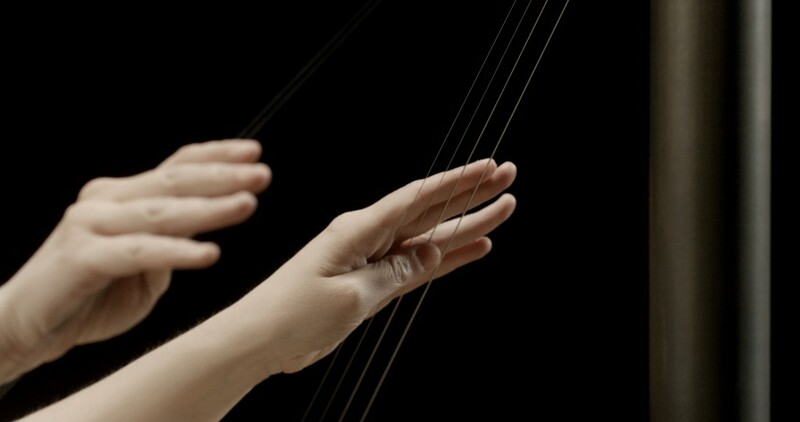 The instrument offers a wide range of electroacoustic-like sonic possibilities produced without using any computer nor interface that solely depend on the physical movements of the performer and the way the instrument is being played. 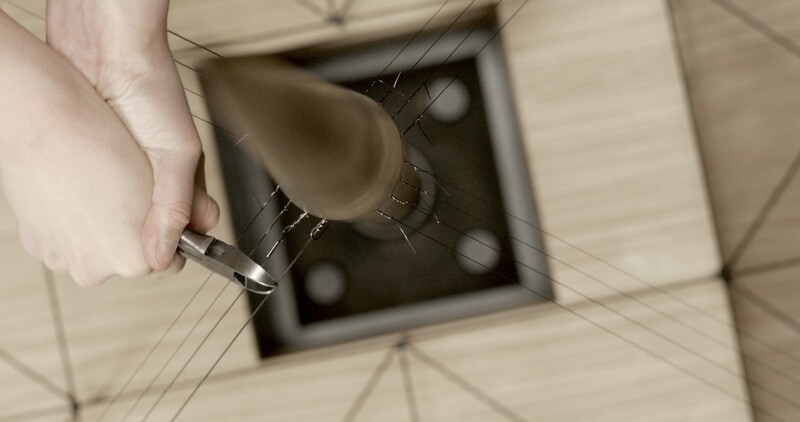 Each and every movement made with the coil produces a change, as if it were a bow in contact with a string on a violin. 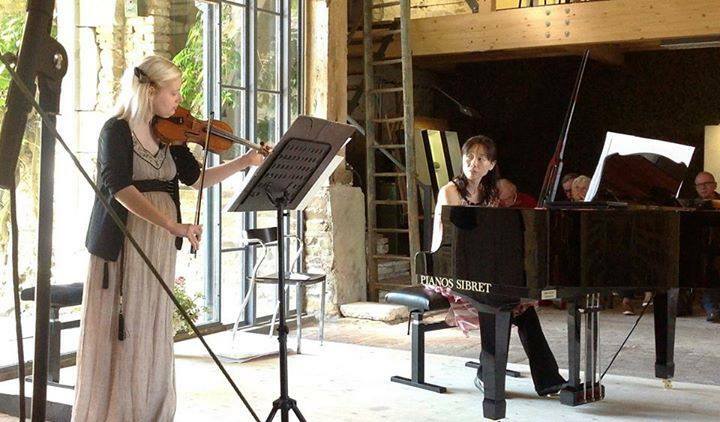 Recent performances of the duo (Jasna+Dejana) playing velicon include performances in Amsterdam, Gent and Brussels, during season 2014/2015. art is knowledge. art is unique. art is every person... every life... every day. art is moving. growing through art. art is living. living is art. • To view this work, read texts and meet all its (current+future) participants, please visit "Art is my..." site. 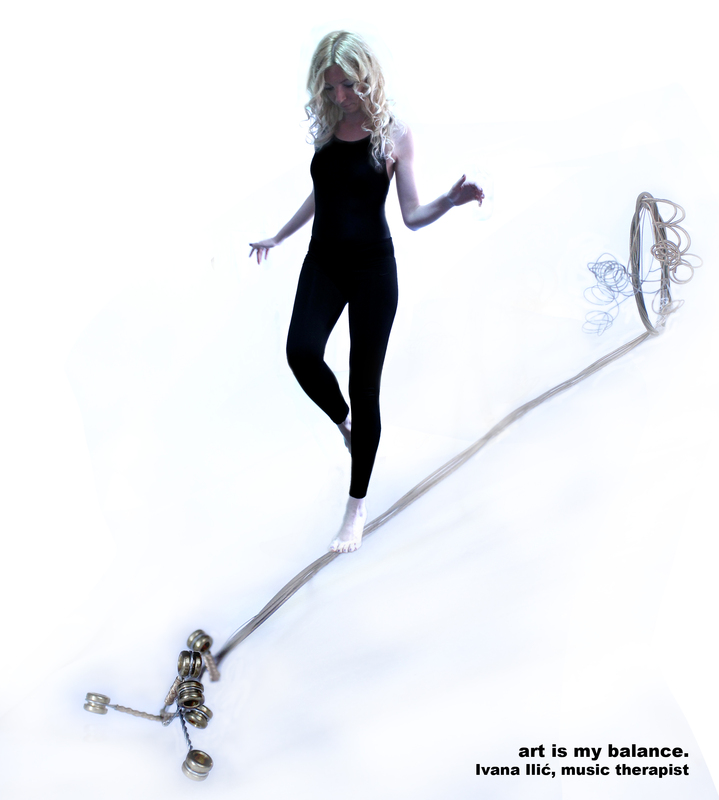 ⌈ •About "Art is my..."
The only bounderies and limits we have are those that we impose to ourselves. When truth is the fact that one can do and reach beyond any limits. If one dares. It is said art should provoke. This work hopes that it does exactly that. It provokes every individual to find within themselves desire, strength, passion to go beyond their known bounderies, in no matter which part of work or life. Improve. Themselves, for themselves. Thus improving first the quality of own life and than society. 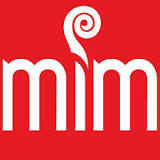 Art and education are the sparks that initiate us to think and strive, expand and set intellectual challenges. Spark that doesn’t allow us to be satisfied with shortcuts, mediocrity and trivial. Art is an individual and unique expression of inner thought and feeling. Each person possess within individuality, unique personality. That makes each life unique. Life, an unique piece of art. Life is art as art is life. 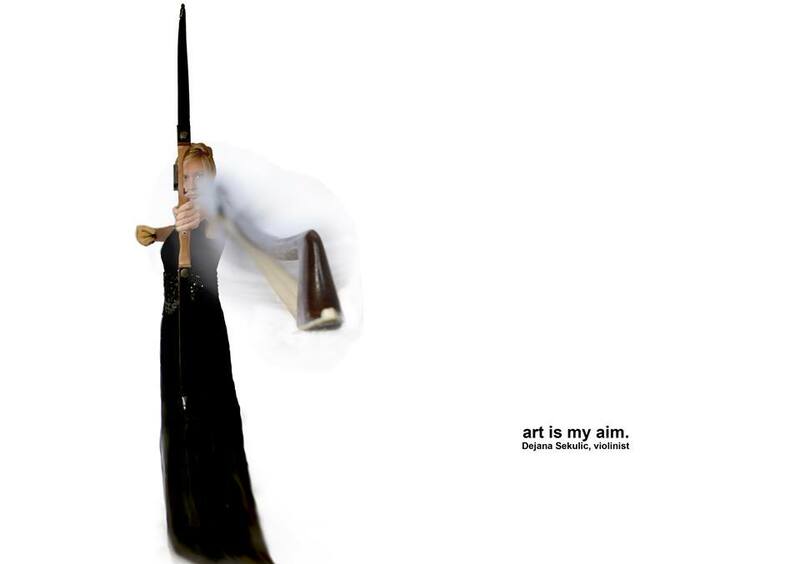 “Art is my…” looks on art as whole, its necessity for quality living and perceiving life, with all its individuality and originality, as a form of art. It aims to remind of these sparks that we should never forget about and that we should embrace, through artists – pictures, stories and performances of their artistry and their everydayness. Because, an artist is not necessarily just the person doing art. Just as well, even without being an artist, one becomes so in its own way and work – by making their everydayness, their life, their doing be inspired and lead by artistry and innovative thinking.